Gandhi cited a news report that a woman from Chhattisgarh was tutored to tell the PM during an interaction that her income had doubled after she shifted from paddy cultivation to sitafal farming. 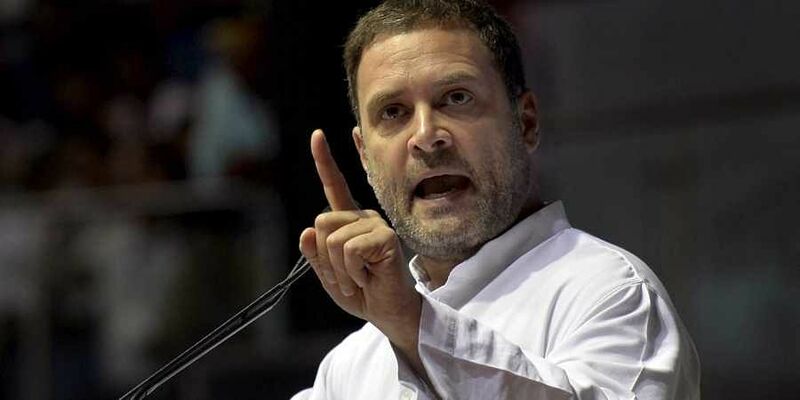 NEW DELHI: Congress President Rahul Gandhi today took a swipe at Prime Minister Narendra Modi, saying that he not only tells people his 'Mann ki Baat' but even wants to hear his 'Mann ki Baat' from them. "Everyone knows that the PM tells his 'Mann ki Baat'. But today, it was known that he wants to hear only his own 'Mann ki Baat'," Gandhi tweeted in Hindi, referring to Modi's 'Mann ki Baat' radio address. A news channel reported that the woman from Kanker district in Chhattisgarh had been tutored by officials to claim doubling of her income during the interaction with the prime minister on June 20 through the NaMo App. The woman, however, denied today that she had been tutored by officials for the interaction. Her clarification prompted ministers and BJP leaders to ridicule a section of the media, saying there was "an agenda of deriding" the Prime Minister.